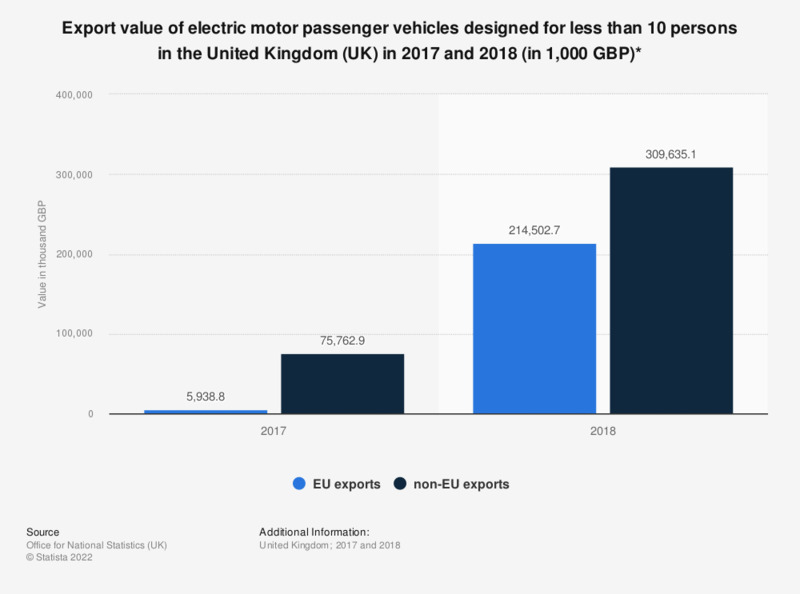 This statistic shows the value of EU and non-EU exports of electric motor vehicles in the United Kingdom in 2017 and 2018. The EU was clearly an important trading partner for the United Kingdom during this period. EU exports of electric motor passenger vehicles reached a value of 214.5 million British pounds in 2018. Only data for 2017 onwards available as the commodity code and the distribution of motor vehicles changed that year.